Kids love watching the Show at the end of the season! Spectacular way to end the season! Watch it at the end-of-the-season party! Get it as a video to watch on smartphone or tablet! 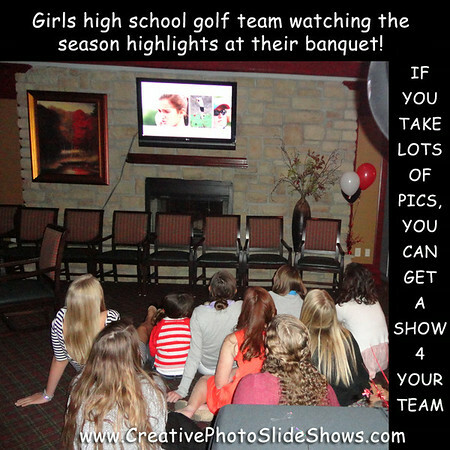 so we can create a lively photo show to play at your party and/or give to each player as a lasting memento! Short video clips are welcome! Kids love these shows at the final banquet! So do the parents! They'll them later on, too, again and again! Watch and enjoy the sample videos below! Celebrate a team or a child's or adult's achievements.